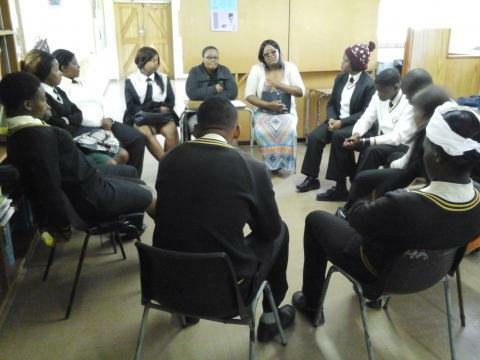 On the 25/11/2015 we held a preparation session for the Ikamvanites in Joza branch. Due to the common trend of students committing suicides upon discovering they’ve failed, we saw the need to equip them in advance so that they know failure is not the end but the chance to begin knowing where one went wrong in the first place. We were blessed with the presence of two wonderful social workers who engaged with the students. The session was truly inspiring and uplifting, everyone participated in the discussion. One learner had this to say about the experience “Today was helpful and an addition concerning things I had no knowledge of.” Sibulele Moyakhe. 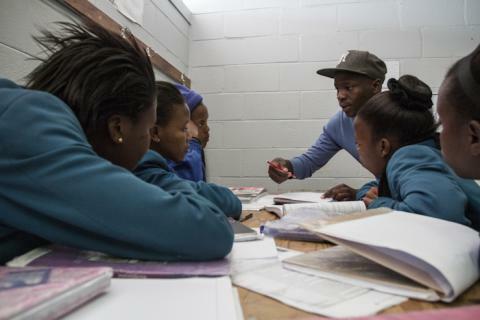 We plan on expanding on this collaborative effort with social development by providing all our learners the necessary support, across all grades (10-12) during the entire course of the coming year. 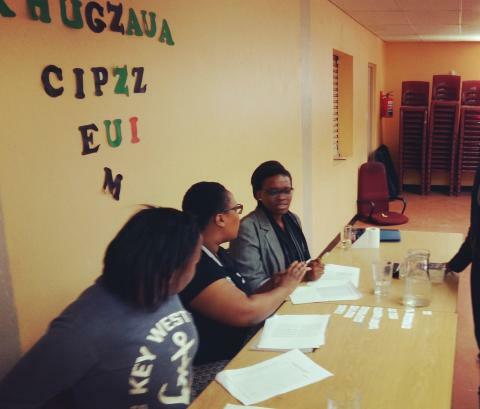 Saturday 21st November was the last Parents’ meeting of the year at the Masiphumelele branch. Besides reporting on learners’ numbers, attendance, kick-outs and extra-murals, we presented the prospects for 2016. In fact, the Computer Literacy programme will be implemented since January. In order to build learners’ ability to communicate in English, the Book Club, the English FUNdamentals and the preparation for the ANAs will also be run next year. Regarding the Grade 11s and 12s the focus of the meeting was on liaising with the parents to organise next year learners’ support around the mentoring programme and tertiary application process. Some Grade 11s (see attached picture) came to present their career aspirations through their Vision Boards. As the learner number will increase from 95 learners to 119 in Masi next year, we also called for recruiting learners and tutors. Finally 2 parents have been nominated and chosen to be Parent’s representatives for 2016. We are all ready for the new year!! If you were asked to spell “conscientious” on the spot, chances are you would not get it right immediately unless you are a spelling geek. If you ever thought that spelling words out loud was as easy as writing them down, then think again. 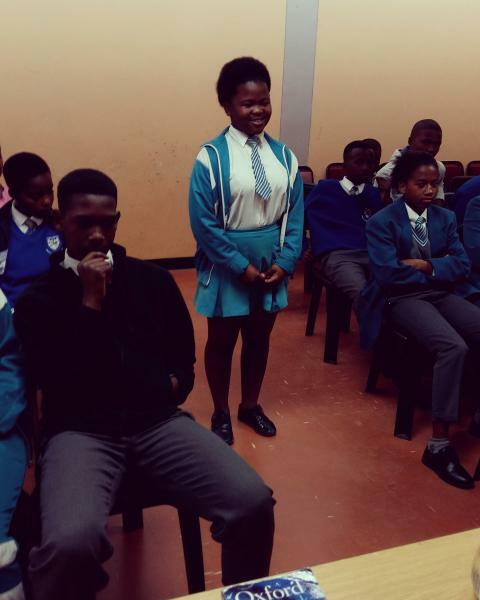 The grade 8s and 9s of Makhaza would definitely tell you this as they participated in a spelling bee competition, on the afternoon of the 07th November 2015, organized by one of IkamvaYouth’s SuperHereos, Lungile Madela. The first round commenced with over 60, grade 8 &9 spellers, keen on taking the spelling bee champion title. 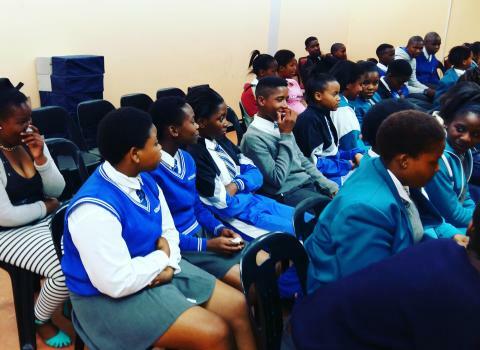 There were 3 adjudicators for the day to assist with the process, namely; Yanga Totyi(Branch Assistant), Busiswa Wana(Intern), Lungile Madela(Tutor) and some of the tutors were present to support and cheer these Ikamvanites on. As the competition progressed, the number reduced as more spellers “fell” at spellings of words like “jurisdiction”, “randomly”, “trigonometry” etc. We live in a generation where innovation is an important aspect to the classroom; to make learning more enticing, to take the “bore” out of school and to leave a lasting lesson on the learners. 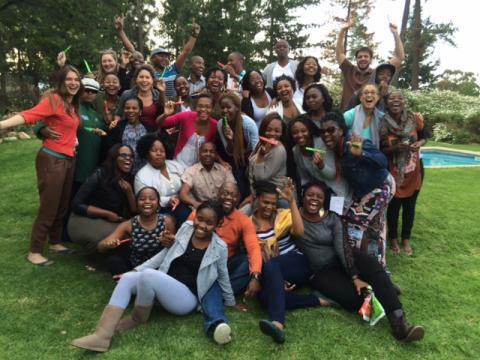 Lessons learnt by the participants will go a long way. It is the “small” ideas that leave a ripple effect. Education goes far beyond the “teacher in front of the room” method. Education involves new and fresh ideas, fun, participation……innovation. It was remarkable to see an alteration in perspectives about spelling, something taken so lightly passively. The grade 8s and 9s will never look at spelling the same again. 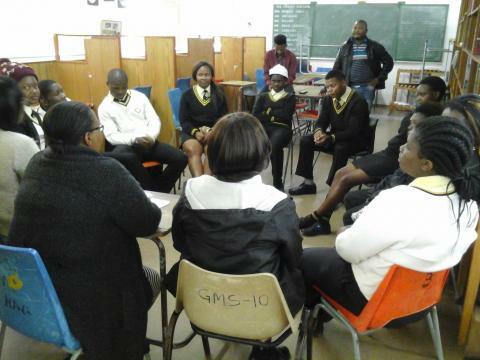 On the 26th of September, we held our Annual General Meeting (AGM) at Chris Hani High School in Makhaza. 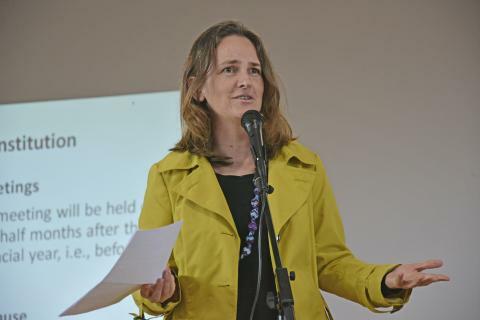 The event was well attended, with an audience of more than 300 people; among whom were IY staff, learners, volunteers, parents, alumni, board members and representatives of funders and sponsors. The programme for the AGM consisted of the presentation and approval of the 2014 Audited Financial Statements; approving the appointment of Grant Thornton as our 2015 auditors; the appointment and ratification of 3 new board members, and the presentation of our 2014 Annual report. “If your dream doesn’t scare you, it’s not big enough”, was the message from one of the outstanding alumni, Sinethemba Kameni, who provided a heart-warming account of his journey with IkamvaYouth. 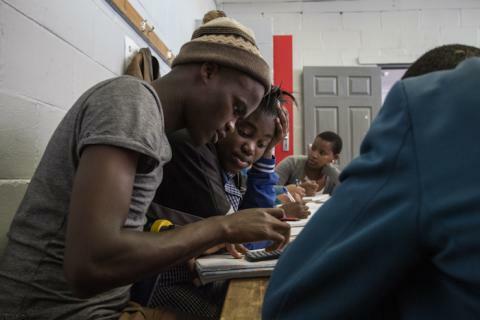 We were encouraged by his and other alumni’s stories; the progress they have made in their lives, and their willingness to come back and inspire the learners who are making their own journey with IkamvaYouth. Zukile Keswa shared his philosophy that says, ‘In life you need to start somewhere’, emphasising that his life’s work is about the impact he is making in his community. This resonated with our findings that 65% of our learners want to come back and become tutors, as our director, Joy Oliver pointed out in her report. The crowd was entertained by IkamvaYouth learners and tutors who performed moving songs, enthralling dance and inspiring poetry at various intervals during the AGM.